Serving Las Vegas and Henderson, Nevada – Dr. Kate Nguyen at Streamline Orthodontics Office is your orthodontic professional, offering 89117 braces, Invisalign for kids, teens, and adults. The Streamline Orthodontics Office staff is a focused, caring group of professionals who pride themselves on making Streamline Orthodontics Office a practice with a reputation for excellence. Meet our 89117 orthodontist who delivers the highest standards of orthodontic treatment to earn the trust of our patients. Any procedure like lingual braces or Invisalign is mastered by our orthodontist so you can efficiently be done with your appointment. Here at Streamline Orthodontics office, you can feel confident we work to ensure that you experience a friendly atmosphere where you can finally attain your dream smile even with braces! Streamline Orthodontics Office creates a unique treatment plan that will fit in your budget and it is catered to the individual needs of each and every patient. Our staff works to create a direct path to achieve your goals. Our wonderful and friendly team has years of hands-on training in the newest technology available. This allows us to offer the fastest and most comfortable orthodontic treatments! Our practice takes advantage of the latest and greatest orthodontic technology including Invisalign, Lingual Braces, kids braces, & other “state of the art” treatment options. You can start orthodontic treatment at any age at our office and still improve your smile! So call or stop by our office to setup your consultation appointment with our orthodontist. Are you looking to align your smile without the look of traditional braces? Call us now to ask about our invisible treatment options! 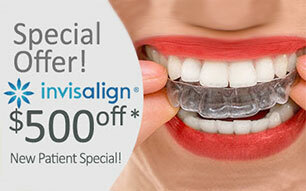 From lingual braces 89117 to Invisalign, Streamline Orthodontics Office has a solution for everyone! Streamline Orthodontics Office is the clear choice if you are looking for a more aligned smile in Las Vegas Nevada! If you have any questions, feel free to look through our frequently asked questions page or call our office. When you choose Streamline Orthodontics, you are choosing peace of mind. Our highly trained and friendly team treats every patient like family, so join the Streamline Orthodontics family today! Call us to schedule a complimentary consultation today at 702-919-7244!